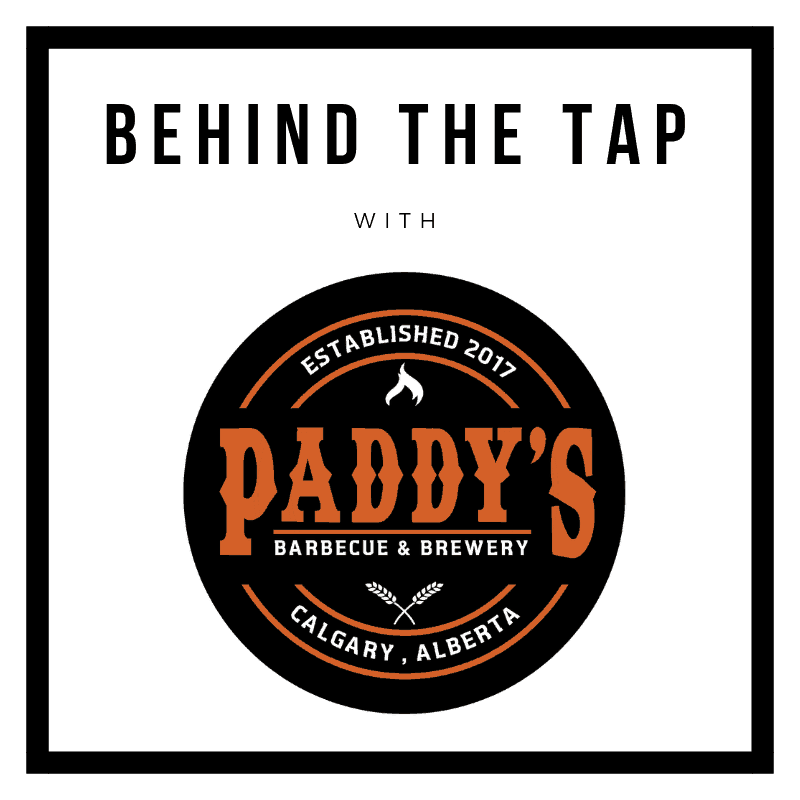 Recently named one of Canada’s Top 10 New Bars by Air Canada’s En Route magazine, Paddy’s BBQ & Brewery is a true gem among Calgary’s growing craft beer scene. 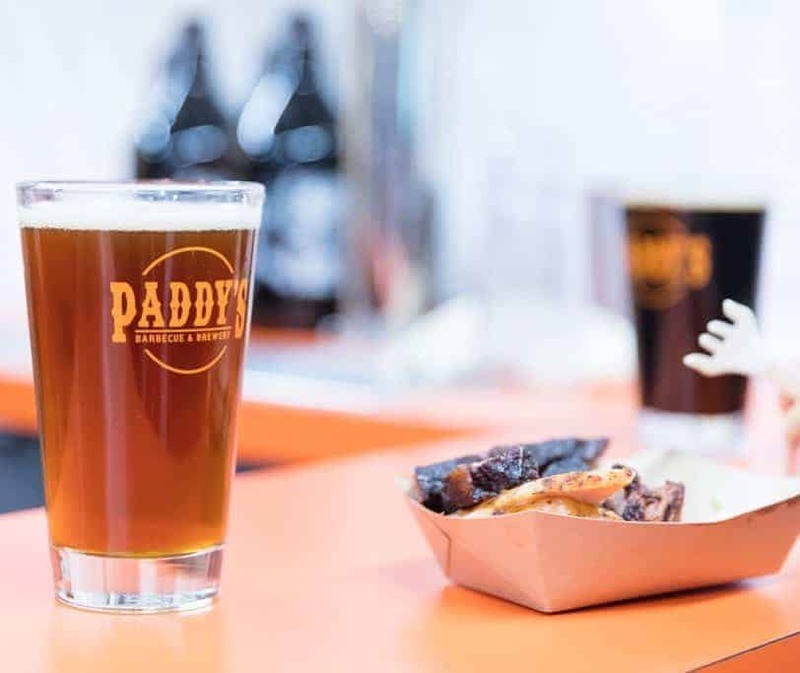 Opened in December 2017, Paddy’s is a home-grown passion project stemming from a love for great food, friends, and of course, delicious beer. On this edition of Behind The Tap, we sat down with the man himself – Paddy Sorrenti, to learn how he got into the brewery game, the secret to his always-crisp and clean brews, and some of the key challenges he faces in keeping customers happy. Going way back, do you remember the first ever beer you shared with your dad? Chances are it was a Coors Lite - my dad liked to drink those during the summer. Sounds about right, I think all of our dads drank those back in the day. Fast forward to 2016, what line of work were you in before deciding to start the brewery? I grew up in the food service industry, third generation in fact. I’d been running our family catering business for the last 13 years and I saw an opportunity to expand our facility and branch back out into the retail market. Paddy’s father working the family business back in the day. Interesting! Good on you for identifying an untapped market (no pun intended). Obviously, the brewery is named after yourself. Is there anything else people should know about the name ‘Paddy’s’? I really wanted people to know this wasn’t just another brewery or restaurant - this was a passion project. So, I called it Paddy’s. Paddy’s passion for great food and great craft beer runs deep! It’s great to see your passion for delicious BBQ and local beer come together! You’ve done an amazing job over the past few years. Speaking of beer, you have quite a diverse range of options currently on tap, including a Kiwi Kolsch, a Rye Table Beer, and Tropical Sour. In your opinion, what’s the next big trend in Alberta’s craft beer scene? Here at Paddy’s we like to focus on Lagers. When we started, I saw a real gap in the amount of good quality craft lagers available around Calgary, so I think we’ll start to see more of those moving forward. Brew day with Brewmaster Dan! Interesting, Vlad from Caravel mentioned Lagers as well. It seems like a growing trend here in Calgary and Alberta. Plus, they are much less intimidating for anyone new to craft beer. Speaking of newbies, what would you recommend for someone who is visiting Calgary for their first time, has never tried craft beer and comes through your door? Probably our Alberta SMASH. We use Kananaskis Malt from the lads at Red Shed Malting. We also use a mix of Cascade hops from Pair O’ Dice Hops, as well as hops from our own garden. It doesn’t get more Alberta than that! No kidding! We love to see local brewers utilizing the BEST Barley in the world, grown right here in Alberta! How about your first craft beer experience, was it here in Calgary? Ah yes, Brassneck rocks! We were there last summer for a “research trip.” They had an amazing Cherry Sour on tap which completely blew our minds. Getting back to Alberta, what are some of your favourite beers in the province right now? Dandy’s new lager - it’s clean and crisp, not too sweet and easy drinking. Chinook Saison from Banded Peak - this has been a favourite of mine since the beginning; light in alcohol but LOTS of good flavour from the saison yeast. I also really like The Tiffany from 88 Brewing Co. - she is strong but smooth! The Paddy’s craft beer lineup! We haven’t yet tried Dandy’s new lager, but absolutely, Banded Peak’s Chinook Saison is a CLASSIC among Calgary craft beers! How about Paddy’s? Is there anything you guys are doing differently that other breweries? Absolutely, for our lagers we use RO (reverse osmosis) water and build our own water profiles. That’s pretty awesome! No wonder your beers are so consistently clean and crisp. People don’t often realize how much the water being used can impact the beer, including helping to bring forward those delicious hop flavours. Paddy’s clean & crisp Hopped Lager. Creating water profiles, growing your own hops, not to mention the entire BBQ side of your operation, it must have been quite the monumental task getting this all set up! Regarding the day-to-day operation of the brewery, what’s one challenge most visitors don’t realize when they walk through your door? By far, keeping beers available that people want. We never planned to have any core beers and were always going to focus on different styles. But our Vienna Lager became super popular and we can’t always have it on tap so you get some annoyed customers from time to time. That’s a tough situation. No doubt it’s always somewhat of a guessing game trying to gauge popularity and quantity, especially when first starting out. Certainly, no brewer ever wants to run out of beer. On that note, what advice would you give to someone who is just starting out and looking to open a brewery for the first time? Without a doubt, stay small and focus on your neighbourhood. Excellent advice! Gerad from Prairie Dog mentioned the same thing – it’s better to focus on doing one thing really well than trying to appeal to everyone. Niche is the new big. Top spot goes to Jester King Brewery in Austin, Texas. I was with my wife at the time. The place is absolutely amazing, set on this beautiful farm and the beers were like nothing I have ever tried before! Sounds pretty incredible! We’ll add Jester King to our list next time we are in Austin. Selfishly I would pick my own. Mostly because we brew different styles every week and I would never get bored. The Paddy’s team gearing up for the Calgary International Beer Festival! Paddy, thanks once again for your time today. It’s been great getting to know a bit more about Paddy’s BBQ & Brewery! Keep up the great work and congrats once again on your Air Canada En Route magazine nomination! Hey Calgary, what’s your favourite beer and bbq pairing?